In this article we explain the difference between the PPER and the Yachtmaster. The big difference between these two qualifitcations is that the PPER is a national title that allows you to work on boats of Spanish flag,whereas the Yachtmaster is an International title that allows you to work on boats of English flag or of the Commonwealth. In addition to that, being in the possession of a Yachtmaster is a securitiy that the person who wants to hire you has because it means that you are a good skipper. Everyone knows that someone who has this title, truly knows how to navigate, unlike the PPER. With this, i dont want to say a PPER is not a good navigator,much less, simply that you can get this degree without having the prerequisites that you are asked for, for the RYA degrees. The Patrón Profesional de Embarcaciones de Recreo (PPER) is a professional title issued by the Spanish Merchant Captaincy, which allows you to govern pleasure boats, registerered in the sixth or seventh list, provided that it does not carry more than 12 people on board including the whole crew, with boats up to 24 meters length and a maximum distance of 60 miles from the coast. In addition, it allows you to practice as an instructor of safety and navigation practices of the licenses Navigation License, PNV and PEE. Pass the Medical Examination carried out by the Social Marine Institute (ENG1).Provide a responsible statement attesting to the name of the vessel and its registration, having navigated at least 50 days and 2,500 miles, including at least five voyages of more than 60 miles, measured along the longest navegable route short of a port of departure to a destination, practicing like skipper during the crossing, this trip must be of height and of a minimum duration of 48 hours. Pass a knowledge test based on 30 questions on 18 topics of maritime legislation, which is carried out in the General Directorate in the Merchant Marine of Madrid. General or Restricted Operator of the Global Maritime Distress and Safety System (GMDSS). Ro-Ro Passenger Ships and Passenger Vessels other than Ro-Ro ships or the Basic Passenger ships certificate. 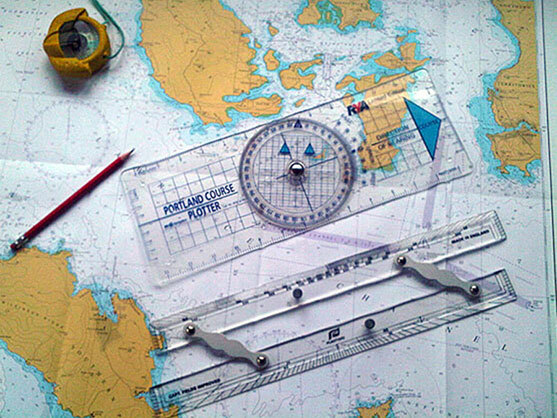 The Yachtmaster is a certificate of competence issued by the British Agency Royal Yachting Association (RYA), which allows you to govern sailing and motor boats of different lengths, at different distances of coast and for different purposes (commercial or recreational) through the endorsement of Specialty Certificates. The Yachtmaster consists of three titles: Yachtmaster Coastal, Yachtmaster Offshore and Yachtmaster Ocean. The exam lasts between 8 and 10 hours (2 days) and is carried out on a sailing/motor boat, according to the certificate, and the candidate must prove his/her seafront aptitude. To obtain professional attributions it is necessary to pass a certificate of extraordinary competence. In this case the attributions allow you to govern boats up to 24 meters in length in a maximum distance of 20 miles of the coast (with good weather and whenever there are day navigations). The exam is practical, and in addition to the theoretical training, skills of seafaring and knowledge in navigation, safety and shipbuilding must be demonstrated. To obtain professional attributions it is necessary to pass a certificate of extraordinary competence. In this case the attributions allow you to practice as a skipper on ships up to 200 GT at a distance of 150 miles (you can also work in the merchant marine). A period of boarding must be accredited where there have been exercises of route planning, checking of elements on board and safety in navigation. Sailed at least 600 miles for 4 continous starts. In the practical exam the candidate is required knowledge of meteorology, navigation, defeat, responsibility of crew command, maintenance and basic repairs. In addition to oral and written tests. To obtain professional attributions it is necessary to pass an aptitude test and be in possession of several certificates of specialty. In this title the attributes allow you to practice professionally in boats of up to 200 GT and without distance limit, having an international recognition. I hope our post has been helpful. If you want personalized advice on these two qualifications you can contact us directly and we will try to help you the best we can!